Yashar Ali is not afraid of Eric Bolling. The journalist faces a $50 million lawsuit after he reported that Bolling, a Fox News host, sent lewd text messages to female colleagues. Ali said Sunday on CNN's "Reliable Sources" that he is standing by his words. Bolling has been suspended from Fox News. He and his legal team have denied the allegations, and the lawsuit claims Ali defamed Bolling. Ali told CNN's Brian Stelter that he sees Bolling's lawsuit as an attempt to "intimidate" him. "I spent three months on this story," Ali said. "I had 14 sources. I've spoken to the victims...I know he's wrong." Bolling's attorney, Michael Bowe, did not immediately respond to a request for comment from CNNMoney on Sunday about Ali's latest interview. But he has in the past called Ali's HuffPost article "false, defamatory, and obviously intended to destroy this good man's career and family." HuffPost published Ali's report August 4. A day later, Fox News suspended Bolling pending an investigation. Ali said he believes Bolling's decision to go after him personally, and not the Verizon-owned HuffPost, indicates that the lawsuit is a scare tactic. "He sees me as a young reporter that may be scared by a big lawsuit," Ali said. "But if he wants to wade into this pond, I'm happy to go in with him." 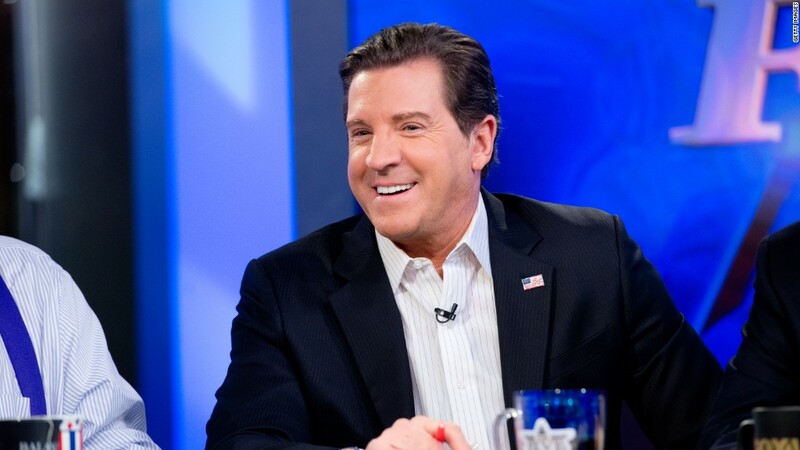 On Friday evening Yashar Ali's attorney, Patricia Glaser, sent a sternly worded letter to the lawyer representing Eric Bolling, arguing the Fox host's lawsuit against Ali is "utterly devoid of merit" and demanding that it be dismissed immediately. Ali said Sunday they have not heard back yet. Glaser is known as a powerful Los Angeles attorney. Her clients have included Keith Olbermann and Conan O'Brien. Fox News did not offer any updates about the investigation Sunday, saying only that efforts are ongoing. Bolling had been one of President Trump's staunchest backers on television. Before he was suspended, Bolling led a show called "The Specialists" at 5 p.m. on Fox News. He also anchored "Cashin' In" on Saturdays. Other Fox News talent is filling in for him. The controversy comes just more than a year after former Fox News host Gretchen Carlson sued then-Fox News CEO Roger Ailes. She accused him of firing her after she refused his "sexual advances." Other women came forwarded with similar accounts, and Ailes left the company in July 2016. He denied the allegations against him. He died in May at age 77. That case and others have provoked uncomfortable questions about Fox's corporate culture and about whether management tolerated improper behavior for many years. 21st Century Fox said it made sweeping changes to its human resources practices as a result of the Ailes scandal. --CNN's Brian Stelter contributed to this report.